In order to provide the highest quality care possible, you need to have the right tools, which is why Dr. Whitaker has invested in some of the latest, most state-of-the-art dental instruments available today. With the technology and services detailed below, we’re able to address a wider array of dental problems in less time while keeping our patients much more comfortable—what’s not to love about that?! If you’re ready to experience the very best that modern day dentistry has to offer, contact us today. 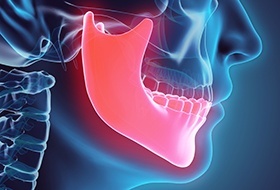 The TMJ, or temporomandibular joint, is a part of oral health that often gets overlooked, but we never miss it here at Corbin Family Dental Care. It is the small joint that allows your jaw to move in all directions, giving you the ability to speak, eat, laugh, and yawn. It can sometimes develop pain and stiffness due to strain, injury, or arthritis, which can lead to muscle tension throughout the face and head. This is why TMJ-issues are actually one of the leading causes of headaches! Fortunately, our team is able to diagnose and treat these issues right in our office so our patients can live their lives pain-free. It’s very common for people to feel a bit nervous about going to the dentist, but for some, this anxiety actually prevents them from seeking out the care they need. 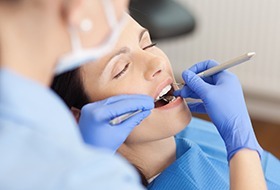 With sedation dentistry, we can help anyone overcome this barrier and enjoy a calm, soothing experience while we take great care of their teeth and safeguard their oral health. With our Mouthwatch intraoral camera, we’ll finally take the mystery out of your dental care! 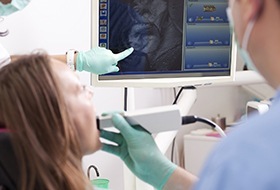 This small, handheld device is tipped with a high-resolution camera that can capture close-up images of the teeth and gums we can instantly show you on a monitor right in the treatment room. You’ll finally be able to see your smile from your dentist’s point of view, making it much easier to understand your current dental health and why you might need a particular treatment. 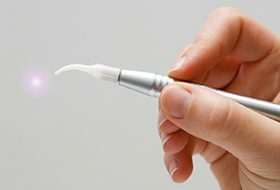 Treating the gums used to require a scalpel and sutures, but now, Dr. Whitaker is able to quickly and painlessly eliminate gum disease and even provide cosmetic gum lifts using our precise diode soft tissue laser. Its concentrated beam of light can vaporize bacteria and remove excess tissue while also reducing bleeding, swelling, and discomfort to the point that they practically disappear. 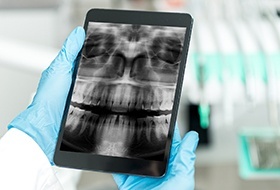 Compared to traditional film-based X-rays, digital X-rays are a huge leap forward in every way. They help us capture diagnostic images in much less time, they don’t require toxic chemicals to be developed, plus they reduce radiation exposure by up to 80%, giving many of our patients (particularly parents) peace of mind.